After 44 years of international shooting, I have learned to travel light when flying, and I try and have as much of my “must have” gear available to use the moment I land. This means I carry my camera bag on-board and what additional shooting accessories I need in my suitcase and/or in an additional equipment case. 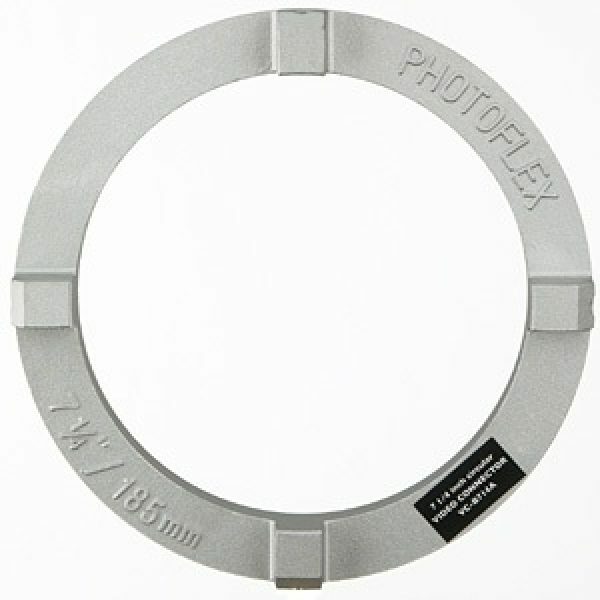 Photoflex LiteDiscs are compact and easy to pack in a suitcase and I don’t travel to any of my assignments, including my international sessions, without packing several of them. I primarily utilize natural light in my work and often require a fill of some sort for my lighting style. I prefer a fill light where I can use a reflector to bend and shape light around my subject and the Photoflex MultiDisc fits that need perfectly. 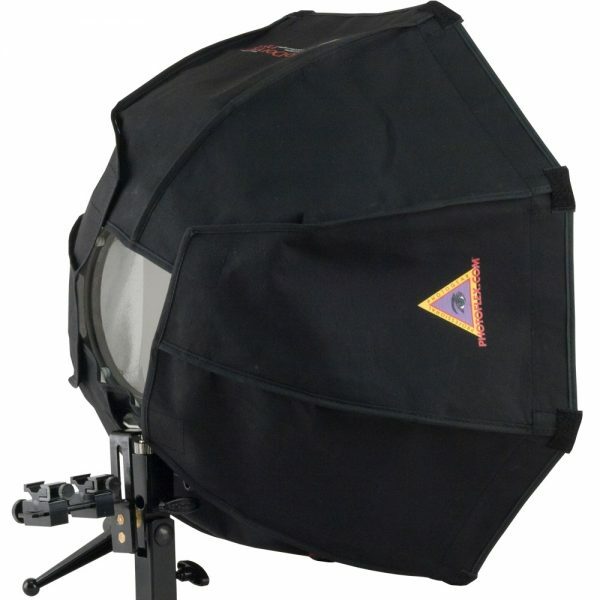 The reflector I use most often for my variety of photographic subjects is the 42” 5- in-1 MultiDisc Reflector. For ease of use and the variety of reflecting options it offers, it can’t be beat. I utilize a lot of back lighting in my shots and often need to insert a softer fill from the camera perspective. 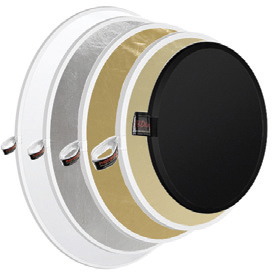 The fact that I have three different colored reflecting options with the ability to quickly change the zippered panel covers, plus a gobo, and a diffusor in one disk gives me a lot of options with the MultiDisc. 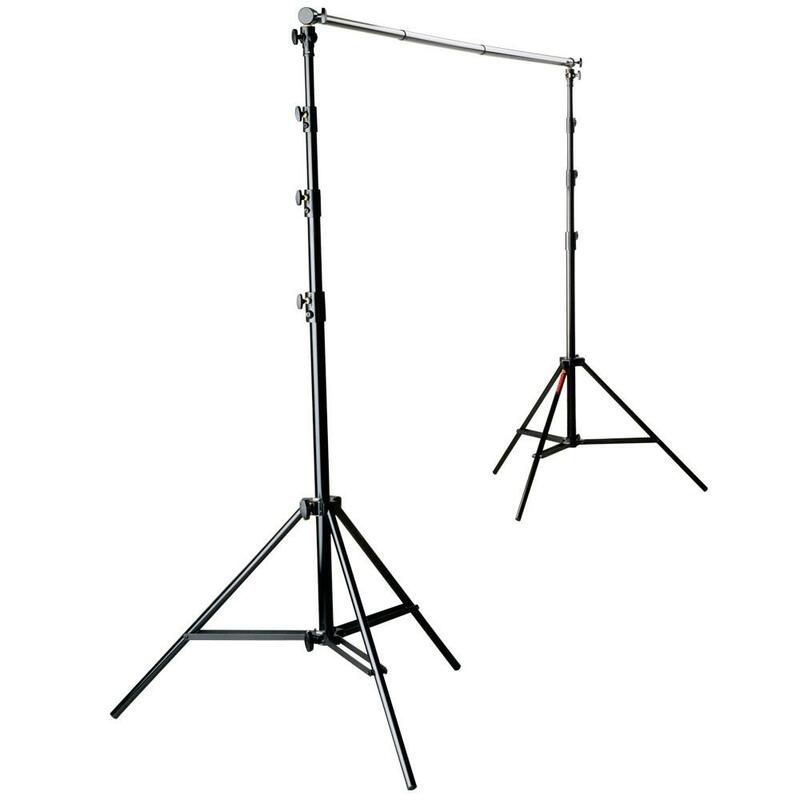 It can be hand held, or mounted in to a special holder on a light stand for maximum versatility. I photograph a variety of commercial subjects but the subject I am most well recognized for is the Equestrian market. I shoot for that industry on an international scale, and quite often I use the 42” 5- in-1 MultiDisc as a fill light source for what can be a very difficult subject to photograph; a horse. I like to shoot early in the morning or late in the afternoon, and the silver reflector panel is the one I tend to utilize most often. I don’t often use the gold because at that time of day the light is already warm and I need to fill with a cooler color the silver reflector panel offers during that time of day. When I use a LiteDisc with horses I have to start slowly because of their fight-or-flight instincts. I first have to make them understand that I am not a predator as they take note of what, to their unique eye function, appears as a large, round, shiny object that can appear rather scary. Achieving a comfort level while in a horses proximity is important, because I will have an assistant bend and shape a 42” MultiDisc as needed to create the fill light effect I desire. I can’t have the horse trying to move away from the reflector when I am trying to achieve a lighting effect. The 42” works great for this because it is large enough to give me the amount of fill I need, but not so large to be intimidating to a horse. I am recognized for my lighting of horses in natural environments and many times I utilize a backlight or a backside light while shooting. 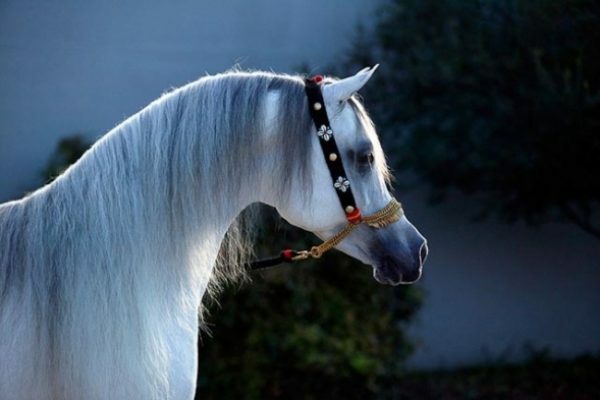 Depending upon the color of the horse, I will often need a fill light. I don’t like using a flash because the entire scene becomes too evenly lit for my preferences. 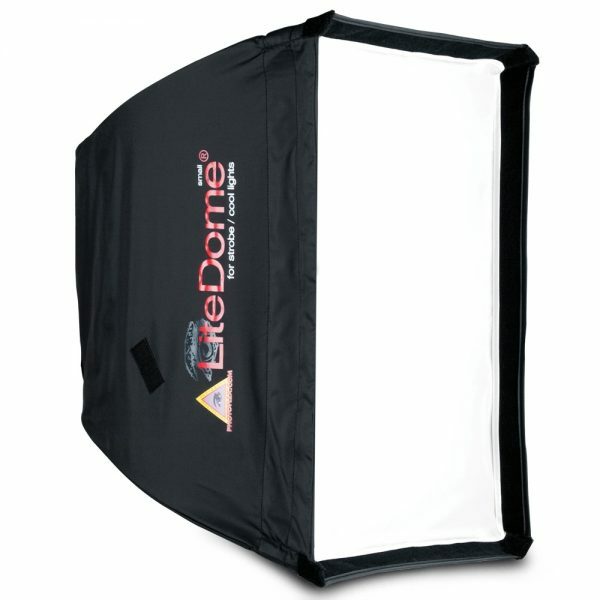 I prefer to shape and soften my fill light, which needs a reflector of some sort. I prefer the fill light to be very subtle. The Photoflex MultiDiscs fill that need for me perfectly. No matter the color of the horse, I can utilize a 5-in-1 MultiDisc to achieve the color and quantity of fill the light I need. Lets take a look at a few examples. For the first image example, I had an assistant standing just off camera left, using the silver side of the MultiDisc and had her feather a minimal amount of light into the horses side and mane area. I just needed a very slight bit of fill, as the overall quality of the lighting was excellent. One thing I really like about the flexibility of the Photoflex LiteDiscs, is that you can put in a lot of fill by holding it more rigid with a direct angle of incidence equals the angle of reflection into your subject, or you can soften the fill dramatically depending upon how you bend and angle the disk to the subject. For a shot like this I didn’t need much fill and just wanted to slightly highlight the areas of the mane and face. Lets take a look at another lighting situation. For the next example the horse was standing inside an entrance doorway to the barn. The light was slightly overcast and I used the reflector to bounce some light into his darker side. My assistant was standing just out of frame on camera right, bending and shaping the flexible disc to get the effect I was looking for. 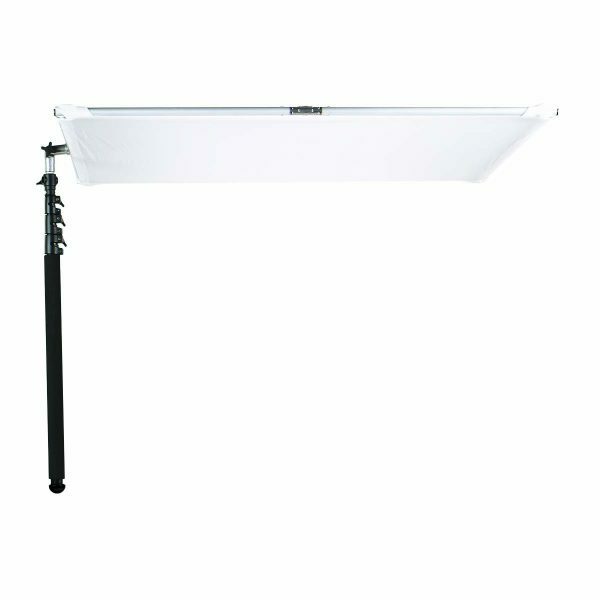 I needed a brighter, cooler fill amount so once again; I was using the silver panel of the reflector. Shadows on dark horses can be a problem, so my goal was to lighten the shadows, particularly in the mane, and keep the desired lighting effect. Often times I have to cover events where I am shooting handlers with their horses. I find placing my subjects in the edge of a shaded area and using a MultiDisc to bounce fill light into the subject is a great combination. In the final example, I had the young lady stand just to the edge of a shaded area, and then had my assistant stand just slightly off camera right and out of frame to bounce the fill in to the center of the shot in order to concentrate the fill on the girl. I want my fill light to compliment my shot, not overwhelm it and I got just enough of a spill into the horses as well. The nature of my assignments, especially with horses, requires adaptability, versatility and portability. The many options available via the Photoflex 5- in-1 MultiDisc Reflector give me the tools I need to get the job done all in one great package.